Join Dave Stroud for a new two hour episode highlighting the life, words, and music of Blind Willie McTell in this week’s episode of Deeper Roots: A Century of America’s Music, produced exclusively for KWTF 88.1 FM, community radio for Sonoma County. We’re sitting in for KOWS’ astrologer Matt Savinar in a show that swings with the jive to open things up and then heads down the path of tradition, New Orleans and zydeco spicing, country swing, and an assortment of gospel classics. 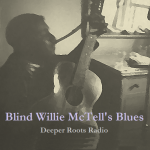 In particular, we’ve got sets that are a precursor to our Friday and Sunday night specials about Blind Willie McTell, country swing that opens with the magical guitar work of Les Paul, and we remind everyone that Mardi Gras is just around the corner, with a set featuring Professor Longhair, Eddie Bo, and Snooks Eaglin. Join us in this special two hour ‘stand in’ show. The railroad is the muse for the morning here in Occidental as the show uses the theme of the railroad: the stories of those who built it, the promise of the golden sunrise that awaits at our destination, the sorrow of a love taken away by rail, and the lonesome whistle from some far away valley. As an aside, did you know that Occidental itself was once a bustling community where the train would haul off the timber and bring tourists from San Francisco and cities beyond? 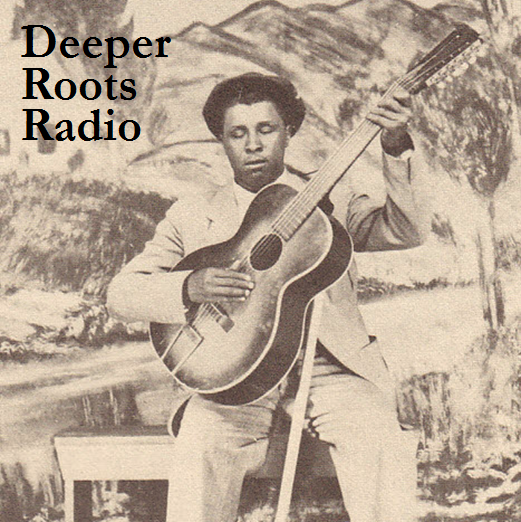 Join us for the sacred and the secular, including Peter Rowan, ELVIS PRESLEY, Kevin Russell, Paul Warmack & His Gully Jumpers, Furry Lewis, and many others as we explore the genres of bluegrass, blues, folk, jazz, country, and so much more. 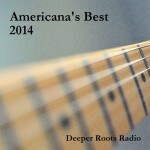 It’s theme time once more on Deeper Roots Radio: A Century of America’s Music. 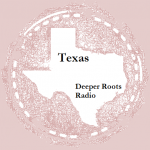 Join Dave Stroud as he digs up some classic songs about the Lone Star State. It’s country, bluegrass, blues, R&B, jazz, and more from the past century of America’s music. Another beautiful winter Saturday morning in West Sonoma County and it’s time for a collection of hot blues, country gospel, early rock, early century pop, and swinging country on Deeper Roots… everything from Eddie Cantor’s 1922 song about a trapeze and Blind Willie McTell covering Jimmie Rodgers around mid-century, to a track from 2014 from a new band out of New Orleans called Hurray For The Riff Raff…another reason our tag line reads “A Century of America’s Music”. Join Dave Stroud on a brisk Saturday morning from the KOWS studios in downtown Occidental, California. 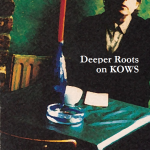 Celebrating a recent push into promoting Americana music by KWTF, Sonoma County, Dave Stroud will look back at 2014’s collection of outstanding Americana. The playlist for the evening covers those ‘long in the tooth’ including Willie Nelson and Billy Joe Shaver, a posthumous piece by Johnny Cash, and one of the more energetic throwbacks to 70s outlaw sounds you’ll hear from a songwriter by the name of Sturgill Simpson. There are also the newcomers: Lydia Loveless, Shovels and Rope, and Parker Millsap. 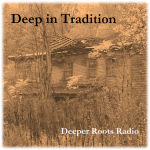 Join us in a show that celebrates new music that digs into the roots of the past century of America’s music. 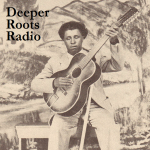 In this episode of Deeper Roots, produced especially for Sonoma County’s newest member-supported community radio station, KWTF, we go Deep In Tradition. 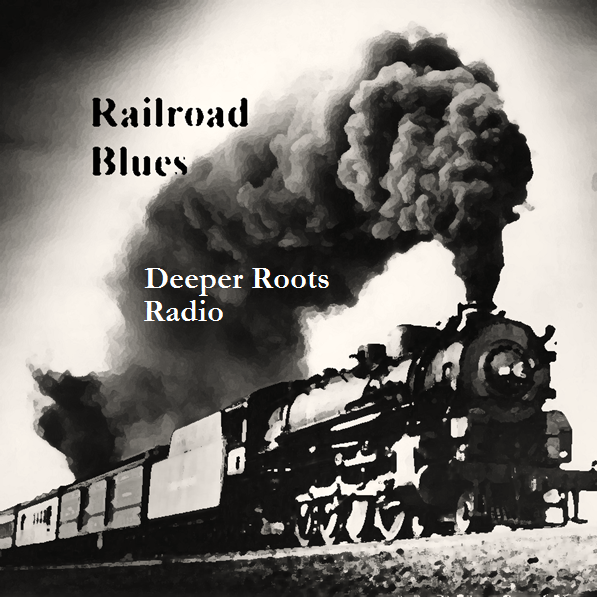 The playlist today features just over a dozen songs whose their roots go back beyond the 20th century. Songs in the show include Ida Red, Cotton Eyed Joe, Back Up And Push, River of Jordan, and Arkansas Traveler. Performers include Doc Watson, The Carter Family, Ricky Skaggs, and Jimmie Driftwood. 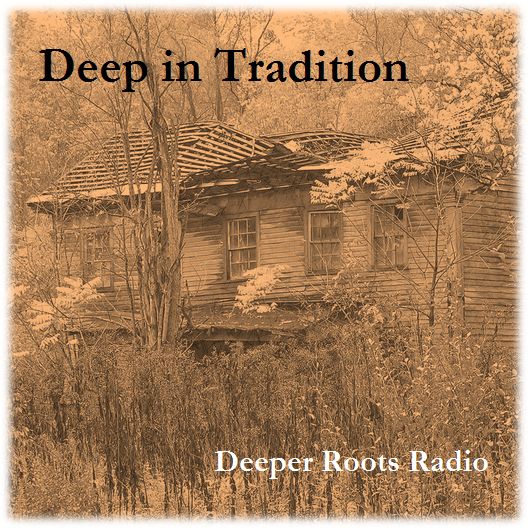 You’ll hear the songs and their stories in this first broadcast of 2015. Please join us for more than just the past century of America’s music from Sonoma County, California.